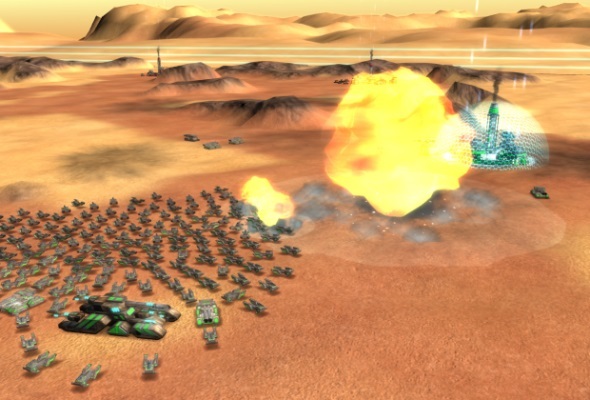 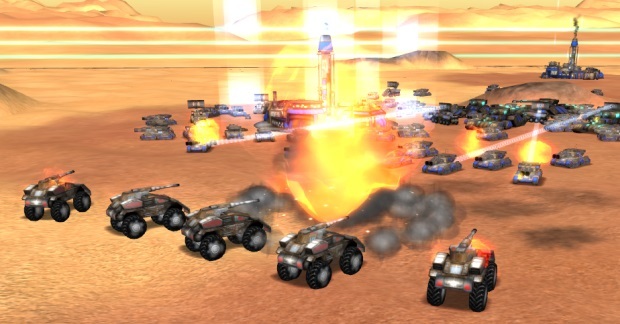 Conquer Mars is a multiplayer strategy game designed for quick-hitting matches: no extra fuss. 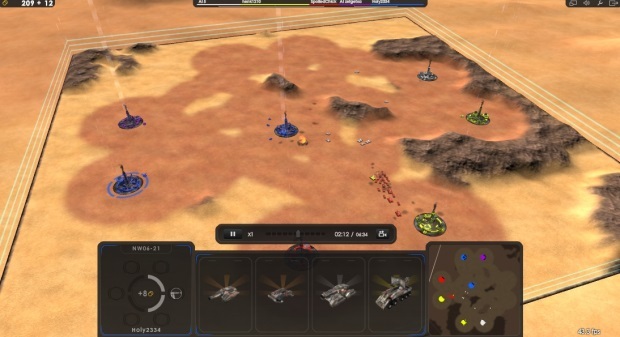 Eight player battles let you build twenty units at a time, focus your base-building on upgrades and defensive towers, and forgoes the individual unit for massive armies. 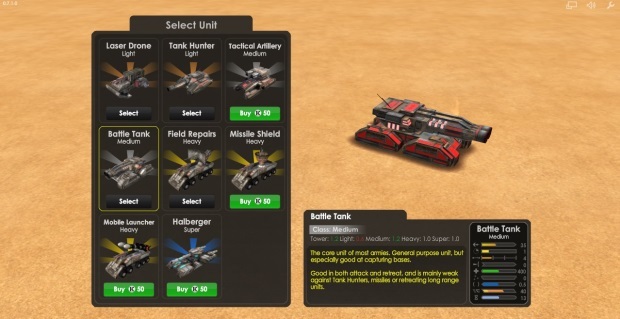 Send your tanks out in a game designed more like Risk. 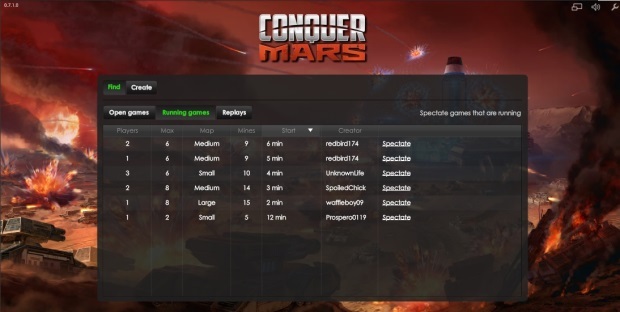 Afterwards, hit replay and focus on armchair analysis before your next big match. 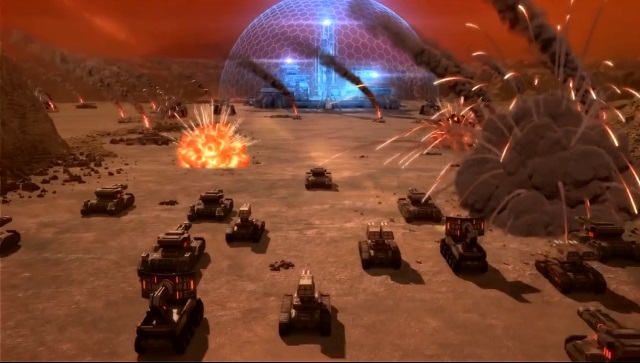 Trailer and campaign video for Conquer Mars, an online multiplayer 3D RTS game where you get to command massive drone armies.